Step 1 Wash the strawberries and pat dry with a paper towel. Cut each in half starting at the top stem end. Step 2 Combine the mascarpone and cream cheeses, the one-fourth cup sugar, cocoa, milk and Grand Marnier in a bowl. Whisk or use an electric hand mixer to thoroughly combine. Fill a pastry bag with a star tip or snip off the end of a resealable plastic bag and pipe a star or dollop of the mixture in the center of the cut side of each strawberry. Sprinkle with powdered sugar and serve. In Recipes-list.com we have selected the most viewed recipes from category - Desserts . Enjoy the best recipes specially selected for you! 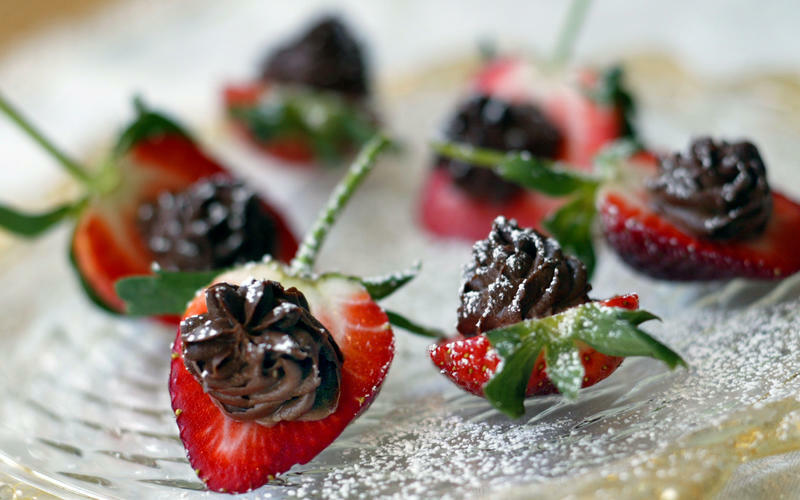 Chocolate mascarpone strawberries is the right choice that will satisfy all your claims.